Asia (MNN) — According to a study done by The Center for Study of Global Christianity at Gordon Conwell Seminary, the Church in Asia is one of the fastest growing churches in the world. Handley says the research is particularly significant for Asian Access. “These are countries where the Church is outpacing the leadership training systems of their country. 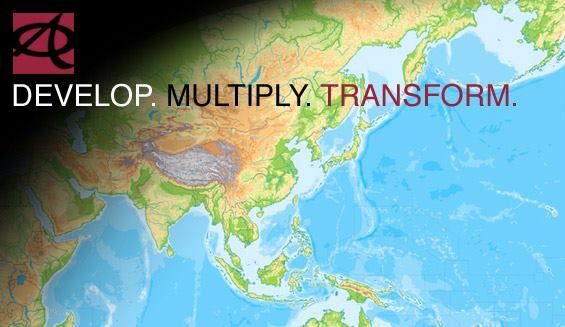 So all across these different nations, you have the churches growing like crazy, but there’s not enough Bible schools and seminaries and leadership institutes like Asian Access that are helping them prepare for this phenomenal growth,” Handley explains. He expects that a lot of the growth has to do with the fact that many of these nations are restricted either politically or religiously. This pressure, often persecution, and the desire to be free are all things that drive them to the Gospel. They are delighted to have freedom in Christ even while the world they live in does not allow them freedom. While the leaders in existence have their heart in the right place, they may not know how to be effective, or they do not have adequate tools of leadership. “As the pastor goes, so goes the church. So coming alongside these leaders of the church of Asia is going to be crucial for the future,” says Handley. How do you foster better leaders? The first key to this leadership training is making sure it empowers the individual and doesn’t just tell them what to do and how to do it. “Many of the leadership systems don’t really come alongside them in an empowering way,” Handley explains. Asian Access’ method is a two-year process of community training and collaboration. It’s not a traditional model but one that allows the leaders to think for themselves and develop more leaders in their community. Handley says they are learning better from their community of leaders than they would from one instructor. This training style has been sought by other communities once they see how well it works. For one thing, the wives of these pastors are pleased that their husbands no longer have to leave them in charge of their families and churches for weeks at a time so they can go to a leadership conference. With Asian Access’ style of training, the pastors can leave behind leaders anytime they have to go away. The way it works is that a dozen or so leaders meet up and a leader from Asian Access will start them off with an idea. Handley calls it a spark. This spark soon bursts into a flame as the leaders look at how that idea would work in their community. Ultimately these discussions are inspiring and unifying. Handley says, “All these pastors are from different walks of life, different denominations, different movements, different networks. In fact, many of them previously weren’t sure they could trust one another. The growth in Asia presents all believers with a challenge– but a very good one. Handley says, “As this research shows, the Church is growing like wildfire in these nations. And the desperate need is the same cry that one of my friends said to me. He said, ‘Joe, please send us seasoned veteran leaders. We have no spiritual fathers.’ And so there’s a desperation for leadership training all across many of these nations. “What can you do about it? Of course, you can always pray. Praying is essential to the Gospel’s advance,” says Handley. The third response: support the enormous financial needs of this work. You can do that here. Jeff is serving as the Vice President for Advancement & Communications for all of Asian Access, and he lives in Los Angeles. His primary responsibilities are to communicate the vision and mission of the organization—telling the Asian Access story through video, the web, print materials, and personal contact. Jeff has been with Asian Access since 1987, including the time to complete seminary and a church internship. He is also serving as a member of the Asian Access Leadership Team. Having lived in Tokyo with his family, Jeff also has contributed to establishing the A2 pastor training model in both North India and Bangladesh.